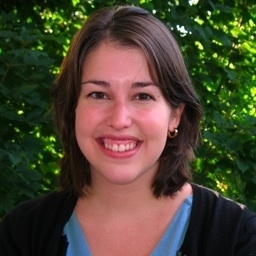 Erin Sassin received her PhD in the History of Architecture from Brown University in 2012. She joined the faculty at Middlebury College the same year and has been teaching courses such as “Faust's Metropolis” (art, architecture, and urbanism of Berlin), “Gender and the Making of Space,” “Bloom and Doom” (architecture and design in Vienna circa 1900—culminating in an exhibition at the Middlebury Museum of Art), “Architectural Utopias,” and a survey of Modern Architecture, among others. Her research is closely linked to her teaching interests: she has published articles on the public/private world of middle class women in the German Empire and the intersection of architecture, power, and ethnicity in Upper Silesia. Her book, titled "Single People and Mass Housing in Germany and Beyond (1850-1930)—(No) Home Away from Home" is forthcoming with Bloomsbury Academic. It is the first complete study of single-person mass housing in Germany and the pivotal role this class- and gender-specific building type played for pre-war German architectural culture and society, the transnational Progressive reform movement, and Architectural Modernism in the 1920s, as well as its continued relevance. She has presented her research at CAA, GSA, SAH, and VAF, among other forums. Currently, she’s planning an exhibition on the Bauhaus at the Museum of Art, working with Sophie Hochhäusl (UPenn) on the feminist implications of ephemeral and ad-hoc architecture constructed during World War One, and with collaborating with Florence Feiereisen (German Department) on a digital project involving the infamous Berlin tenement Meyershof, “Sounding Out the Spaces of Berlin’s Working-Class Life.” Though she has been working interdisciplinary for years, she’s particularly excited that research in the Digital Humanities explicitly fosters collaboration with people from outside of her own field. In this course students will conceive, undertake research, and plan the organization of their senior thesis in art history or senior museum studies projects. Seminar discussions and workshops will focus on research strategies, conventions in art historical writing, project design, and public presentation skills. (HARC 0301; Approval Required) 3 hr. sem.